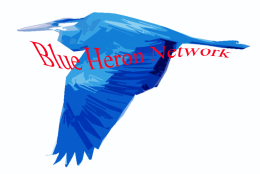 Blue Heron Network is the exclusive provider of Reside@HOME. Reside@HOME is an innovative communication device that allows families to stay in contact with their aging loved ones and to assist them in staying independent for as long as possible. Reside@HOME can be extremely beneficial in keeping those with early stages of Alzheimer's and other neuro-degenerative conditions at home while maintaining their traditional lifestyle and enhancing the quality of their lives. If you have lost your password, please fill out the form below with your user-name and e-mail address, and a new password will be automatically emailed to you. With Reside@HOME you can schedule notes and messages to play a single time or on a recurring basis. The care receiver is able to respond to these messages where appropriate and the messages can be sent with varying priorities. You can share photographs with the care receiver as well as sort photographs into photo albums that can be scheduled seasonly. Using exclusive Reside@HOME technology, you can even create color captions for your family photographs. From medical information to your family address book, using Reside@HOME you can electronically manage and share this information. As the primary caregiver you can create additional caregiver accounts for your family and others while limiting access to various areas and monitoring all activity for the account. Through our innovative module system, the capabilities of Reside@HOME can be expanded to support third-party services and plenty of other options. From the grandson to the family physician, with Reside@HOME's unique capabilities you can grant log-in access to the youngest ones in the family while restricting their access and granting others different access rights, but they all are able to have a hand in providing support. To setup a Reside@HOME account and to purchase the Reside@HOME monitor or related products, go to Blue Heron Network. If your care receiver or loved one already has Reside@HOME, contact the primary caregiver about setting up an extra log-in account. Copyright © 2019 Blue Heron Network LLC. All Rights Reserved.